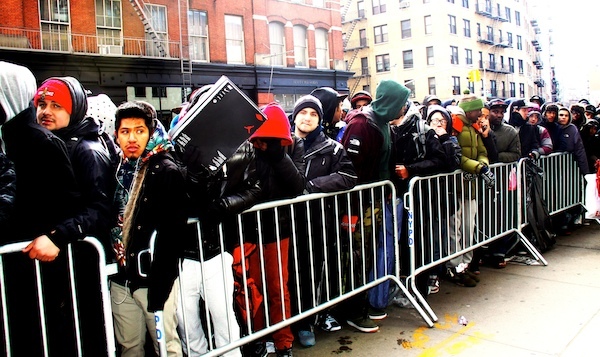 19 degrees, a nasty breeze, and the line is around the block and up the street, see what everyone’s waiting for after the jump! Marc does the hip swingingmod-60′s for Generation Y.
Ok, they never knew you MARY QUANT! Above: Priscilla White modelling a Mary Quant day dress. See the show after the jump!